I've eaten the same freezer dinner three times this week! 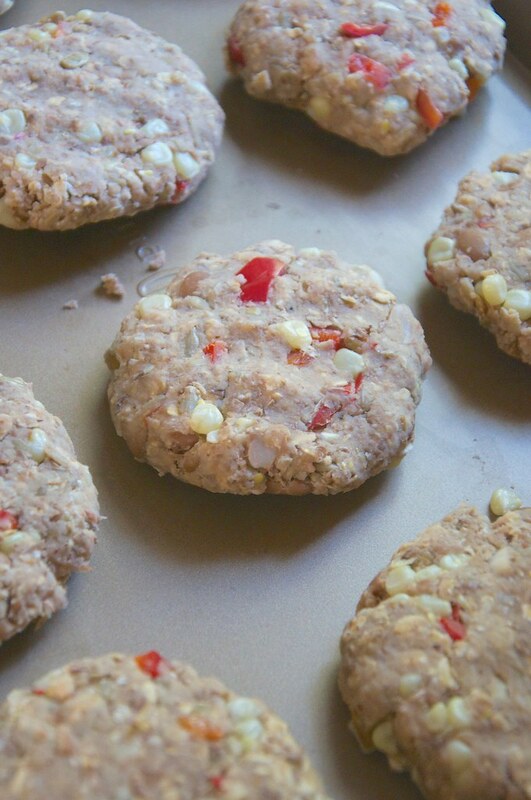 Be sure to check back next week for my new favorite pinto bean + corn veggie burger recipe (no food processor required) and burger buns that will knock your socks off. If you just can't wait, check out last year's Bulk Freezer Burger recipe. If you follow me on Pinterest, you may have seen some of these already. But here's what I'm digging as far as links + things this week! #1: Homemae Wonuts -- WAFFLE DONUTS (doughnuts?). Basically one of the best combinations ever. Wonder if it'd work with this Chocolate + Zucchini Waffle recipe? #2: Less is always more. Here are 5 Reasons To Declutter, Purge, and Simplify Your Home. Thanks, Apartment Therapy. #3: I heart lip balm. When I'm not making my own, my favorites are Rosebud Salve, Burt's Bees in Peppermint, and EOS Balms (because I don't lose them as easily!). #4: New ideas for our new home: This genius mug wall, these colorful built-in bookshelves, and red french doors. Sigh! #5: Preppers and non-preppers alike can enjoy these 16 Cool Homesteading DIY Projects. I'm lusting over that gorgeous food storage shelf myself. 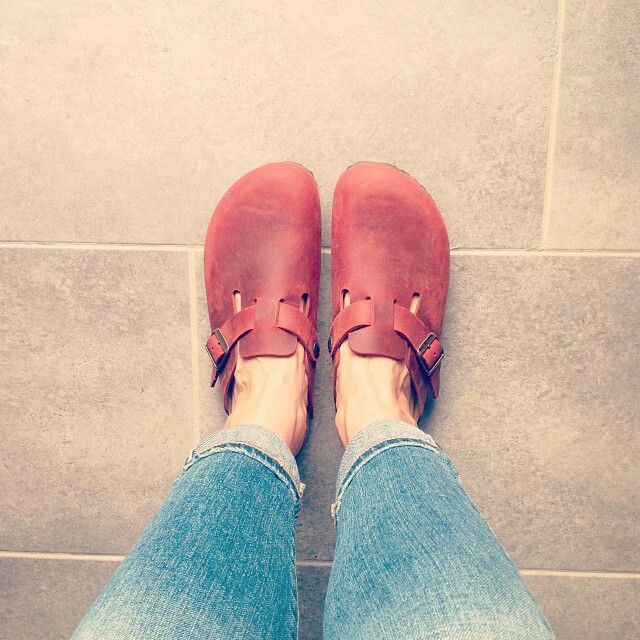 #6: I indulged + bought a pair of Birkenstock Boston Clogs for the fall/winter months. I chose Henna for the color, and narrow for width (though I usually wear size 39 regular). House Notes: Vinyl Tile: How we've updated our floors -- DIY style -- on the cheap. The Terrible Threes: Notes from the trenches of this latest parenting development! Goodbye, Grandma: My grandmother passed away earlier this month. A tribute to her. DIY Craft Kits for Kids: Skip delivery craft services. Here's how! Ada's First Day of Preschool: It went pretty great. Here are some thoughts and a few photos. Zero-Money Weekends: How we're saving $$$ + what we plan to do for entertainment. More of my writing for Wisebread . . . The Adult Fitness Test: How Do You Measure Up? Think You're Too Busy To Run? Think Again! More of my writing for WalkJogRun . . .